Since moving to Charlotte in August of 2015, there have been a lot of ups and downs. Between Taylor's classes, Taylor's job, Taylor's homework, my job, my blog, trying to find a church, and trying to get settled into a city that is much larger than we are used to, life has been hard. There's always some bill we haven't paid yet, always something left to clean, and always something to "get through". Don't get me wrong- I have a great life- but I do get weary of some of these trials that keep coming our way. But trials are not without lessons. I've already learned a lot since moving here, and I have a feeling I'll be learning a whole lot more. Seriously, this is hard for me to admit. I always thought of myself as super nice. I thought of myself as "the sweet girl who gives everyone the benefit of the doubt". But I am learning that when I am in a rough situation, I am not very nice at all. I put all the blame on my hubby for things that are at least partially my own fault. I am learning to be humble and realize that I am more flawed that I thought. When Taylor and I decided to move to Charlotte so that he could attend seminary, I was well-aware of the fact that I would have to be the "bread-winner" for a while. I knew I might have to put in longer hours than I was use to, and that I may have to "just deal with it" for a while. I agreed to that. 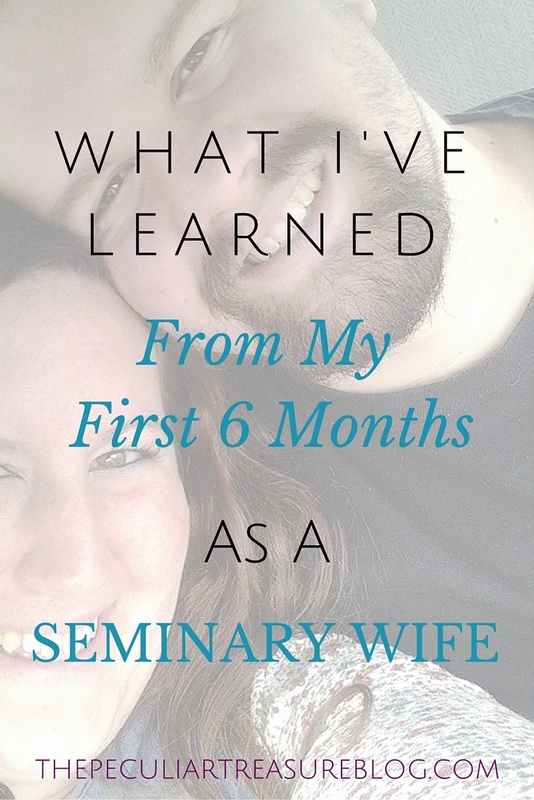 I encouraged Taylor to go to seminary (and I am still so glad that he did). Yet I find myself constantly wanting to be lazy. Constantly wanting to lay on the couch every second of my day off. Yes, I am tired. Yes, my hip and back are in some pain. But I am also just very selfish about my days off. Taylor only gets one day off a week. I get three. I have come to realize how selfish I am with my time. 3.) I am desperately in need of a savior. I've been a Christian for a long time now. I know I need Jesus. I know that He is my only way to God. And yet, when I look at my list of flaws, I continue to try to fix it myself. I just keep striving to stop being selfish, and stop being mean, instead of allowing God to work from the inside out to correct those issues. I see myself more clearly, and I cannot fix what I see. God has to do that. And the thing is, those flaws I mentioned above? They don't make me a terrible person. They don't make me less of a Christian or unlovable. They make me human- a human in need of God's grace. I need God's grace every minute of every day. I didn't just need it when I became a Christian. I need it in every moment, all the time. And thankfully, that's how often God gives His grace! In college, Taylor and I both slacked off. We were so excited to have each other, and be in college, that we did a lot more hanging out, playing disc golf, and going to coffee shops than we did on our school work. But as our marriage has progressed, and especially since moving to Charlotte, I have seen my husband work very hard. He spends nearly all of his time either going to school or working at his part-time (nearly full-time) job. Add to that how committed he is to going to church on Sundays, even though that is his only day off, and I have to say, I've been very impressed. I never thought I expected people to be perfect- and maybe I didn't for a while. But as I have gotten older, I have given people less grace. I have some suspicions about why that may be, and in some ways, I don't really blame myself. But in other ways, I see very clearly that I expect too much of a fairy tale. I have been expecting my husband, my family, my friends, and everyone I come in contact with to be perfect, yet I have given myself a whole lot of grace. Other than God himself, perfection is a myth. People will hurt me. People will disappoint me. But guess what- I'll do the same to them. Perfect people do not exist. That doesn't mean that I quit trying. It means that when people fail me, I give them grace and cling to Jesus and His perfection. It sounds strange, but as much as I have seen my flaws recently, I have also started to see my good qualities. I used to have a lot less self-esteem. Now I do like some things about myself. I do think I am funny. I think a lot of my quirks are endearing. I think I can encourage people really well. It's not that I never thought those things about myself before, but I see them more clearly now too. Yes, as far as my sins go, I don't like myself very much. But as far as some of my personality traits go, I actually like me. It's hard for people to learn to like themselves. I've got a long way to go, but I think I've begun to learn. Before Taylor and I moved to Charlotte, we were hosting a bible study in our home. We weren't the "leaders", we were just the hosts. And though we didn't do anything huge for anyone, I still felt like we were able to be an encouragement. I felt like we were able to make tiny little differences just by opening our home to others and hopefully being a light while they were there. But now that we have moved, we only have a few friends, and we never see them. We are very secluded, and it gets very lonely. We don't get much time together, so we definitely don't have time to serve together, host anything, or make a difference in the community together. I tend to beat myself up about this. I think things like "Christian couples should be out in the community leading people to Christ, or hosting a bible study that helps someone grow". But every marriage has seasons. Taylor is following the call of God by going to seminary so that he can- we can- make a difference for the Lord even more fully. Just because we aren't serving at a soup kitchen, feeding the homeless, leading people in prayers for salvation, or bringing people in our home for Bible study, doesn't mean we aren't pleasing to God. God has us in a very busy, very trying season right now. The next season (whatever it may be) will hold different things. But all of it is for God's glory. Taylor going to seminary and working at his job is for God's glory. 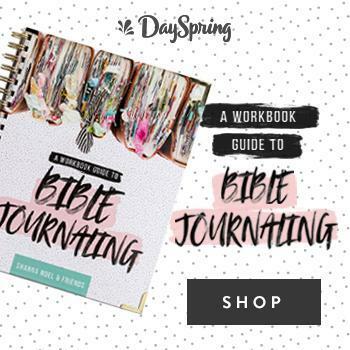 Me working as a nanny and working on my blog is for God's glory. I hope that the next season of life brings more opportunity for joint ministry with Taylor, but that doesn't make this season any less worth-while, any less rewarding, or any less God-given. Don't read this post and think, "wow, she is just beating herself up". I do that sometimes, but that's not what this is. I want everyone to know that wherever you are at, you can still learn and grow. Whether your current situation is easy or hard, fruitful or bare, frustrating or rewarding- you can choose to live free, live well, and grow. Just because something isn't perfect doesn't mean God has no purpose for you there. Seek God more than you have been. Ask Him to make your heart right, to change you, and to produce the fruits of the spirit within you. You may end up learning some painful things about yourself, and you may have to make some changes, but learning those things and making those changes can help you get better. Ignorance is not bliss in those cases, because ignorance hinders growth. Think for a moment about your life right now. What can you learn? What have you already learned? How can you better yourself during this time? This is a great post - thank you for sharing! I bet more people go through this than we think :) I've spent the last six months as a new pastor's wife and I can definitely relate to all of these! Wow! I am sure you can relate! I hope you are adjusting well and enjoying it! Sounds like you are learning a lot! I went to Seminary too and the whole experience was eye opening. Yes! So much to learn! I'm with you. 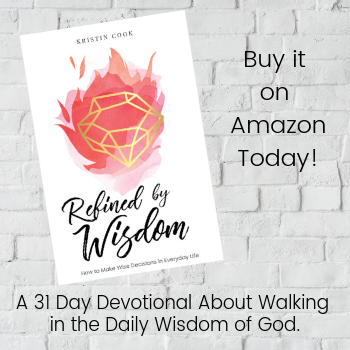 The more we recognize the things about ourselves that God needs to refine, the more we trust him to do exactly that through spending time with him and in his word, the less we stress about them. Its the hard times that draw us closer to him. Thanks for your honesty. Love you. Thank you for reading and sharing! You are very right. I love you too! It's cool to read about the things you've learned about yourself during this time. I'm sure an experience like that is really eye opening. It really is! I have to try to remember how it really is just a season! 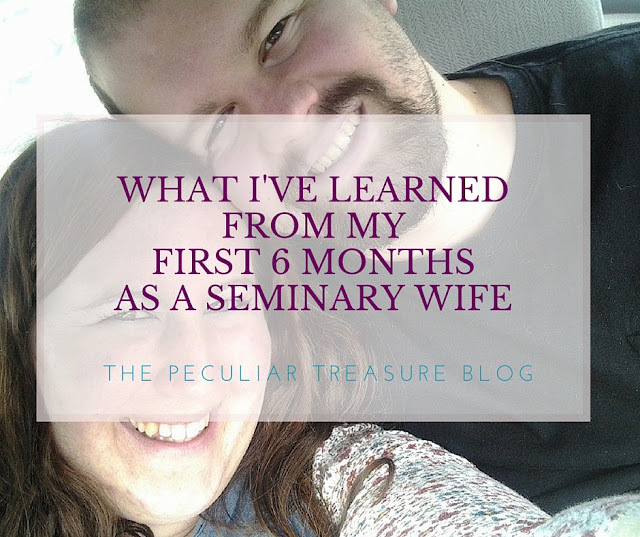 Thank God things come and go in seasons because I have been in the seminary wife season for far too long! I'm so incredibly thankful Eric is in his last semester. I've learned so many of these things too, enough to know that graduating doesn't mean the lessons are over! I've struggled a lot in the same ways as you but trust me, it gets easier..or at least it becomes a new normal. Graduating is scary in itself because I have no idea what all is going to change now. Just have to trust God to show us the way. Girl, I totally get you. My husband is in his second year of seminary. we have two toddlers, and it is hard! I know it's more work for him, staying up late to finish his work, attending class, working full time--basically all the time. but it's hard on the wives too. Thanks for sharing this! Oh my goodness! I have so much respect for you! I don't know how people do this with kids in the mix! It's hard enough with three dogs! lol. Thank you for you for commenting! I love that you're "real" and honest about your life. That's healthy and healing. I think you have a great perspective! Thank you, Karen! I appreciate it! Love you! Loved reading this Kristin. How refreshing! It definitely makes you think about yourself and notice things about yourself. Thank you, Summer! It is a hard season, but I know it will produce good things. All your confessions mean that you are a ... woman! Don't worry to much, marriage changes us a lot and you'll go well with the new changes in you, you'll be able to balance. Haha! Yes! Very true. And yes, I know that eventually I will be much better off because of what I am learning. Thank you for reading, Veronica! Acknowledging our sins and weaknesses brings us closer to God! I feel especially refreshed after a session in the confessional with a good priest knowing that my relationship with God has grown deeper heals my wounded soul. Yes, laying all at God's feet is so important! It's true that we can be hard on ourselves sometimes but it's worth it if it makes us become the person we want to be. To me, it's clear that you have a vision of who you want to be and of what you have to do to get there! I struggle with the idea of wanting perfection too! I expect so much of myself and those around me that sometimes I forget that we all fall short. Yes! It's so tough to remember sometimes! Thank you so much for joining us in this link-up! I think sitting down and examining ourselves like this is such a great idea. As a matter of fact, I think I'm doing to do this for myself. Our life right now is in a season of STRESS as I call it..haha. I feel sort of lost sometimes and not sure which way to turn or HOW to ask God to lead my life.. 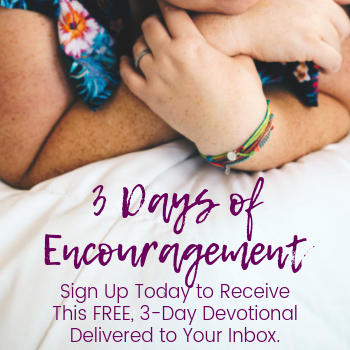 I think it would help me to see where I need that help .. to examine myself and see where I am falling short or where I need the encouragement :) So thankful you shared this!! Thank you for such an honest post. Looking at ourselves can be so humbling if we really look. Sounds like God is at work in you and is showing you what he wants to work on. I've just finished one of "those" season where life was extremely difficult. They are hard. Harder than anyone would choose but you grow SO MUCH! Thanks for linking up at Life is Lovely!